How many investigations are enough? I’d like you to think about this scenario at work. You’ve just sent your team to Defensive Driving School, and made sure they were trained and practiced on good driving skills. They were trained on how to respond when the vehicle is sliding, safe following distances, how to respond to inclement weather conditions, etc. Now that they’re back at work, how many managers would tell their recently-trained employees, “I’m glad we’ve provided you with additional skills to keep yourself safe on those dangerous roads. Now, I only want you to apply that training when you’re in bad weather conditions. On sunny days, please don’t worry about it.” Would you expect them to ONLY use those skills when the roads are snow-covered? Or ONLY at rush hour? I think we would all agree that this would be a pretty odd thing to tell your team! Yet, that’s what I often hear! Now, don’t get me wrong, I appreciate the sentiment (we don’t expect to have many serious incidents at our company), and we can definitely meet all of the other criteria. However, it does get a little frustrating to hear that some companies are going to reserve using this fantastic product to only a few incidents each year. Doesn’t that seem to be a waste of terrific training? Why would we only want our employees to use their training on the big stuff, but not worry about using that same great training on the smaller stuff? Some managers honestly believe that they don’t have many incidents. Trust me, they are not looking very hard! Our people (including ourselves) are making mistakes every day. Wouldn’t it be nice if we went out there, found those small mistakes, and applied TapRooT® to find solid root causes and corrective actions to fix those small issues before they became large incidents? Some people think that it takes too long to do a good RCA. Instead, they spend time using an inferior investigation technique on smaller problems that doesn’t fix anything anyway. If you’re going to take time to perform some type of RCA, why waste any time at all on a system that gives you poor results? Some people don’t realize that all training is perishable. Remember those defensive driving skills? If you never practice them, do you ever get good at them? I recognize that you can’t do an RCA on every paper cut that occurs at your facility. Nobody has the resources for that. So there must be some level of “incident” at which makes sense to perform a good analysis. So, how do we figure out this trip point? Keep in mind that this guideline is for each investigator. If you have 10 investigators, each one should be involved in using TapRooT® at least monthly. This doesn’t have to be a full investigation, but they should use some of the tools or be involved in an investigation at least every month. 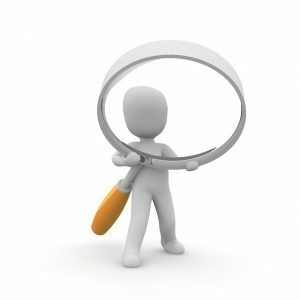 Once you figure out how many investigations you should perform each year to keep your team proficient, you can then figure out what level of problem requires a TapRooT® investigation. Here is an example. Let’s say you have 3 investigators at your company. You would want them to perform at least one investigation each month. That would be about 36 investigations each year. If you have about 20 first aid cases each year, that sounds like a good level to initiate a TapRooT® investigation. You would update your company policy to say that any first aid case (or more serious) would require a TapRooT® investigation. When you add them all up, they might be about 36 investigations each year. You would adjust these levels to match your minimum number to maintain proficiency. At the end of each year, you should do an evaluation of your investigations. Did we meet our goals? Did each investigator only do 4 investigations this year? Then we wasted some opportunities. Maybe we need to lower our trip points a bit. Or maybe we need to do more audits and observations, with a quick root cause analysis of those audit results. Remember, your goal is to have each investigator use TapRooT® in some capacity at least once each month. Note that all of this should be specified in your company’s investigation policy. Write it down so that it doesn’t get lost. Performing TapRooT® investigations only on large problems will give you great results. However, you are missing the opportunity to fix smaller problems early, before they become major issues. TapRooT®: It’s not just for major issues anymore!